We don’t even have the iPhone XI yet, but we’re already hearing about next year’s models and one feature that’s looking increasingly likely is a triple-lens camera. It’s a claim we’ve heard multiple times and today it’s being put forward again, this time by Economic Daily News, which claims the rear lenses will be designed with AR (augmented reality) in mind and will have more advanced 3D sensing capabilities than the front-facing TrueDepth camera on the iPhone X. The report claims that this camera will be capable of stereoscopic imaging, using two of the sensors to capture an image from different perspectives, then using a triangulation method to work out how far the iPhone is from the subject of the photo. It’s easy to imagine how that could benefit AR, since it would surely allow virtual objects to more precisely be placed in the real world. As well as that, it’s suggested that the three lenses would allow for 3x optical zoom, so you can zoom in closer without losing quality. 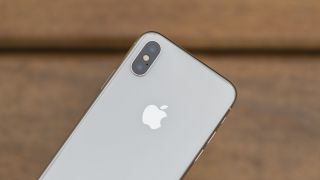 Of course, we’d take all these claims with a pinch of salt, even though we’ve now heard about a triple-lens camera several times, as while Apple may well be considering it we’re far enough from the iPhone 2019’s launch that plans could change.